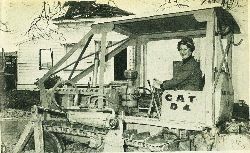 The ground work for the new Museum and Art Gallery, on the site of the old museum and former Lysnar homestead, has begun. 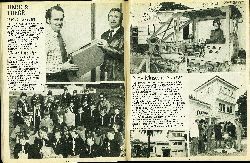 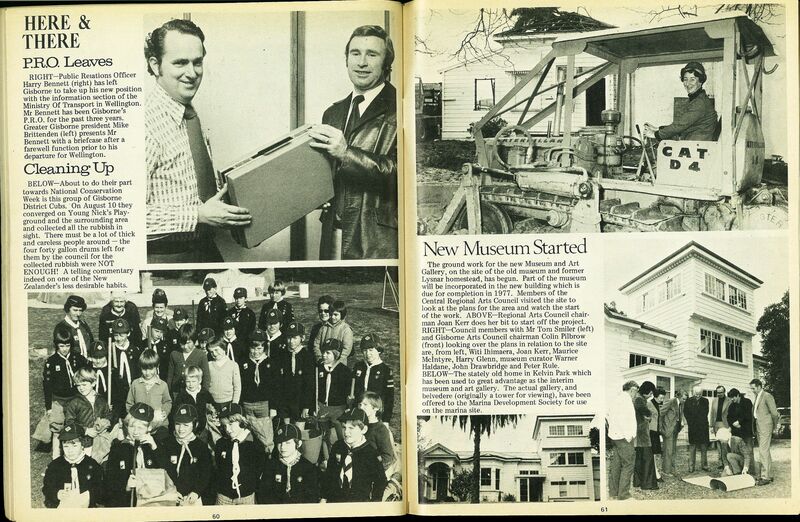 Part of the museum will be incorporated in the new building which is due for completion in 1977. Members of the Central Regional Arts Council visited the site to look at the plans for the area and watch the start of the work. Regional Arts Council chairman Joan Kerr does her bit to start off the project. 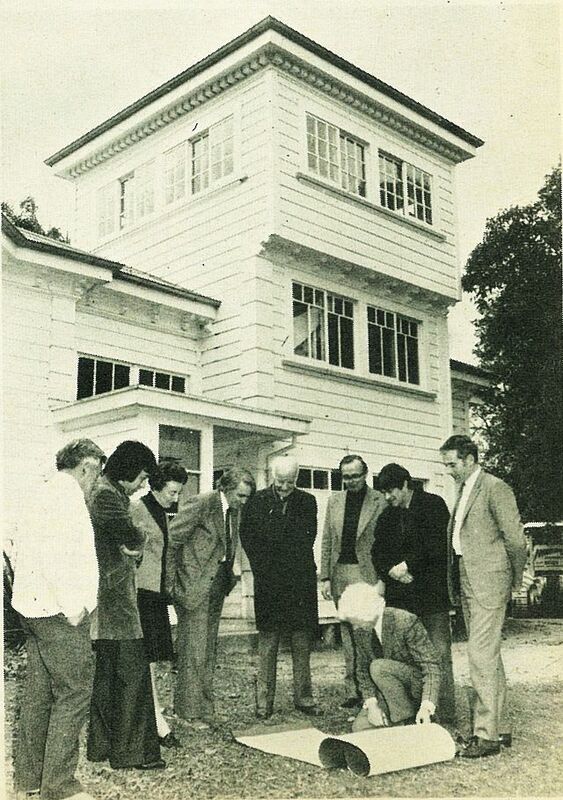 Council members with Mr Tom Smiler (left) and Gisborne Arts Council chairman Colin Pilbrow (front) looking over the plans in relation to the site are, from left, Witi Ihimaera, Joan Kerr, Maurice McIntyre, Harry Glenn, museum curator Warner Haldane, John Drawbridge and Peter Rule. 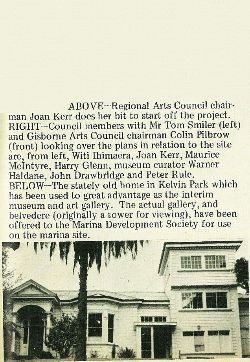 The stately old home in Kelvin Park which has been used to great advantage as the interim museum and art gallery. 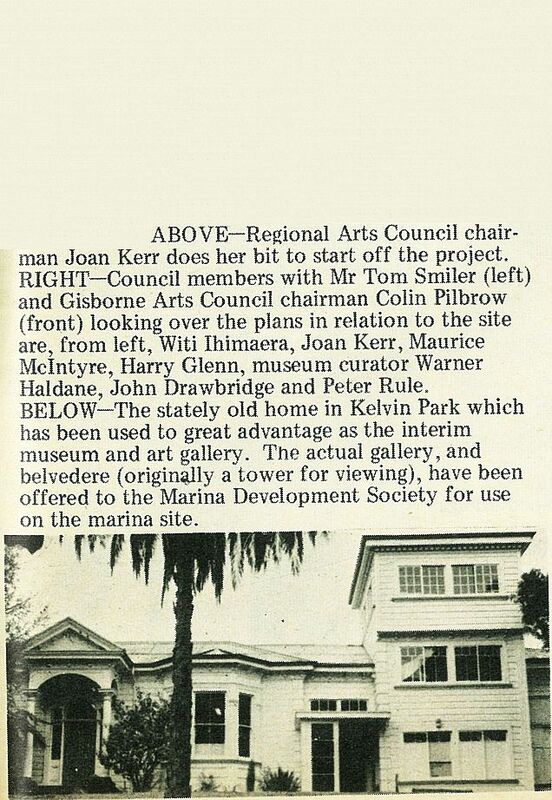 The actual gallery, and belvedere (originilly a tower for viewing), have been offered to the Marina Development Society for use on the marina site.